To prepare this capsicum, tomato and meat stir fry I used the delicious tomatoes and green bell pepper that grew in our garden. *I used dried meat; you can use fried slices of meat or avoid using meat for this recipe. Heat the oil, then sauté the onions with the salt until the onions get soft. Then add the tomatoes, capsicum and the sliced meat. It doesn't have to get cooked too long because the pepper should have its crunch and the meat is already cooked. 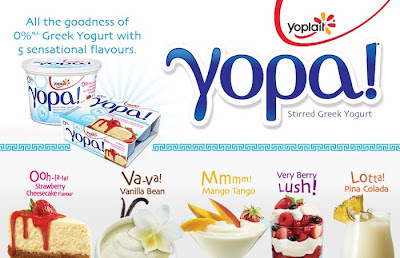 September is a delightful month at General Mills, as they launch their brand new and delicious Greek Yogurt called Yopa. They will have a Butterball promo on their LifeMadeDelicious Facebook page for us to save $1.00 and also a $1.00 off coupon for Chex, which is a perfect snack during or after school. Don't forget their Yoplait Tubes, which are another wonderful snack for school. Simple yet delicious! Thank you! What a nice, simple stir fry... yum! Mmmm! Gotta love a great stir-fry! I enjoy stir fries . Thanks for the easy recipe. (Garden Harvested Stir Fry Makes a Delicious Side Dish) I plant a big garden every year too. You just cannot beat the taste of a home grown tomato.